Choosing the “Print” option from the “File” menu. Choose “Print” from the “File” menu. Automatically oriented and resized to make the most of the space available. 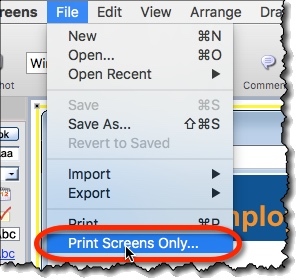 Some options are set in MockupScreens printing settings, while other common options are set each time you invoke print command, via Print Options dialog. Title – Title displayed on the printed document. 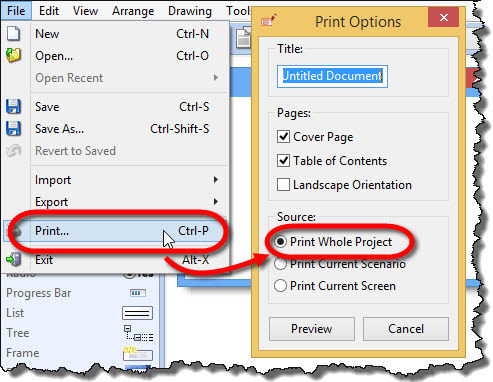 Cover Page – Whether or not to print cover page. Table of Contents – Whether or not to print table of contents. 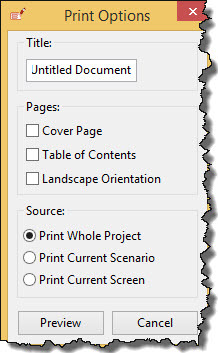 Source – What to print, ie., whole project, current scenario or current screen. 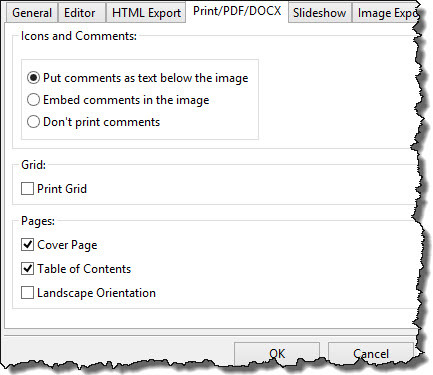 Icons and Comments – Whether or not to print comments. If comments are to be printed, they can be either printed below the screen, or embedded in the screen as callouts. 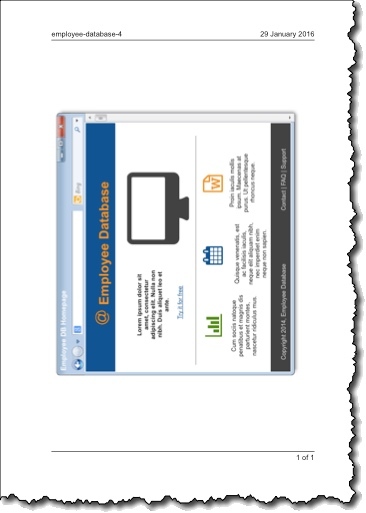 Grid – Display grid on printed screens or not. 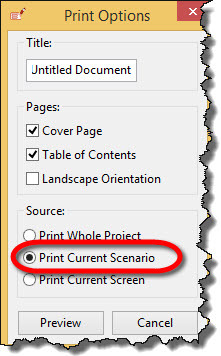 Pages – Defaults for Print Options; these can be confirmed or altered when print command is invoked (via Print Options dialog).